Kent State coach Paul Haynes announced his first recruiting class on Wednesday. 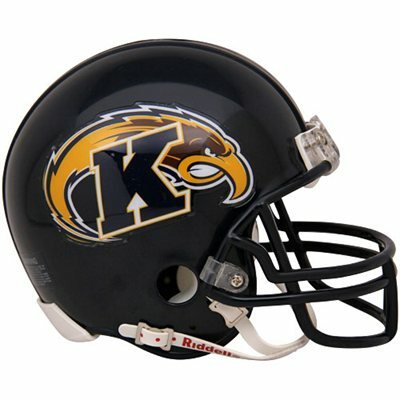 The Golden Flashes’ first-year coach signed 21 recruits – 12 for the defense, nine for the offense – with nine of those players coming from Ohio, an area that Haynes should know well from his coaching days with Ohio State and one that he will need to work to keep the Flashes near the top of the Mid-American Conference. Just as importantly, 10 of the 11 players that had committed to former coach Darrell Hazell stayed true to Kent. “The first day we got together as a staff was Jan. 11-12, somewhere around there,” Haynes said. “So we just hit and ran. But (we) did a good job building relationships with the guys who were already committed and also searching for new guys. We particularly like that several players, including Chris Overton, the Nate and Nick Holly, Kris White, Jake McVay and Demetrius Monday, all have Athlete listed as their position. You can never have enough athletes, after all. Rivals.com ranked Kent State’s class as tied for the sixth-best in the MAC, five spots ahead of the University of Akron and big-name, big-money coach Terry Bowden. Toledo had the best recruiting class in the conference – for what that’s worth. No one really knows if any of these guys will pan out, and the next coach to say they had a poor recruiting class will be the first, but the day is what it is. So, good job coach. Now let’s turn these guys into players.